Thank you to everyone who responded to the Poppy Drive appeal. 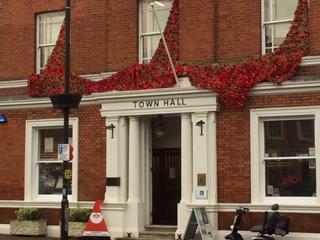 We were able to send just over 200 knitted poppies to Witham Town Hall, where they have been added to a wonderful remembrance display. Please try to visit the Town Hall to see the display.